ESPN said Jemele Hill acknowledged that her tweets crossed the line. 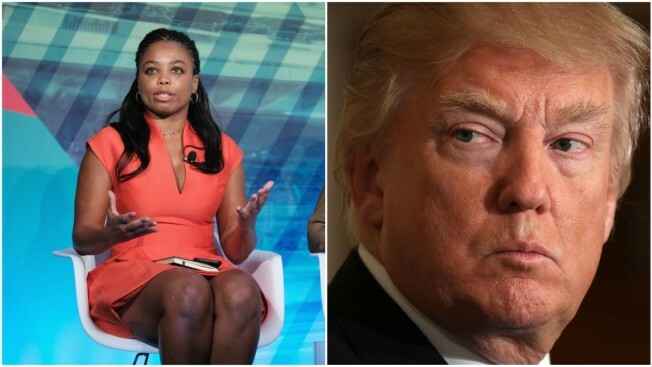 ESPN says it has accepted the apology of its "Sportscenter" host Jemele Hill for tweeting earlier this week that President Donald Trump was a "white supremacist" and "bigot." White House press secretary Sarah Huckabee Sanders on Wednesday called Hill's comments outrageous and something that could be considered a fire-able offense by ESPN. The network said in a statement issued shortly before midnight that Hill has a right to her personal beliefs, but not to share them on a public platform that implies she is speaking for the network. ESPN said she's acknowledged that her tweets crossed the line.